DHY Trading Corporation is a growing name in the domain of producing different fittings that are used in several applications and, is now considered as the top-tier DI Fittings Manufacturers in Mumbai, India. DI stands for Ductile Iron, which not only ensures the life of the fittings but keeps them protected as well. Our offered Duct Accessories are available in diverse specifications, including different elbows, bends, tees, flanges, end plugs, etc. along with socket items. Our manufactured products have passed several quality parameters, thus, ensure durable performance. These are rust-proof, rigidly construct, steadily advanced and offer several other benefits. 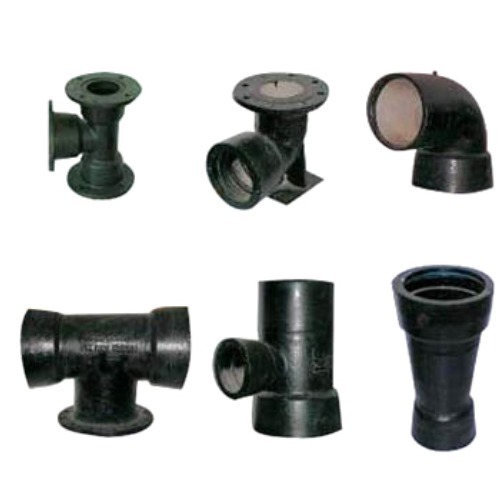 Our name among the noted DI Pipe Fittings Suppliers and Exporters known for offering Ductile Iron Fittings in best possible quality, at the competitive market price. To discuss your requirements, or to place your order, call our executives now. Our contact details are available on your screen. Hurry up! Call now.